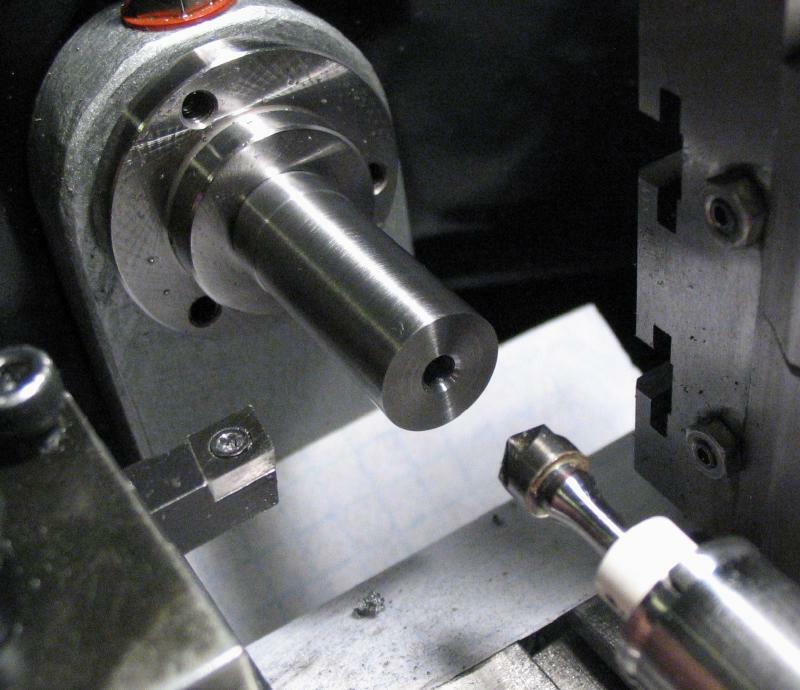 Tools with 3/8" diameter shanks are fairly common, but too large to pass into the headstock spindle on my lathe. 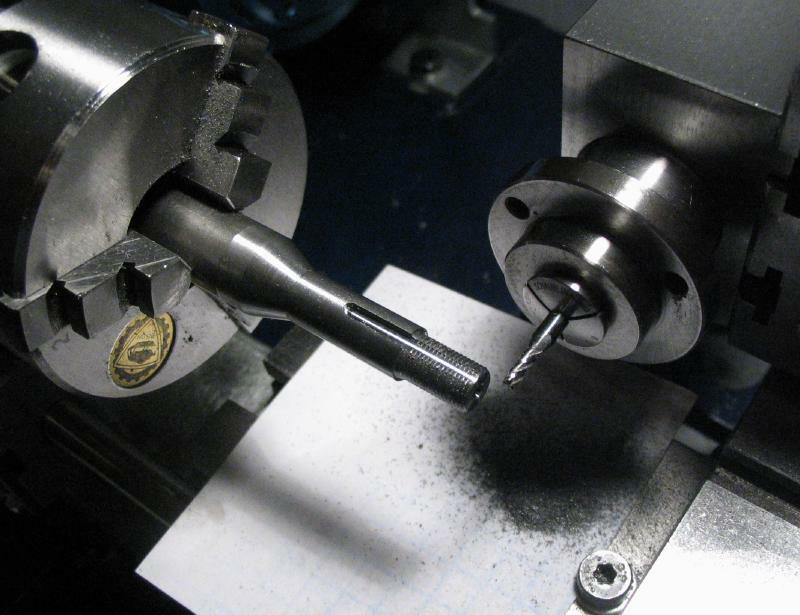 I usually use smaller diameter tools when available, but decided to make a holder with a B-8 type of shank to fit the collet holding headstock and bored to fit 3/8" tooling. 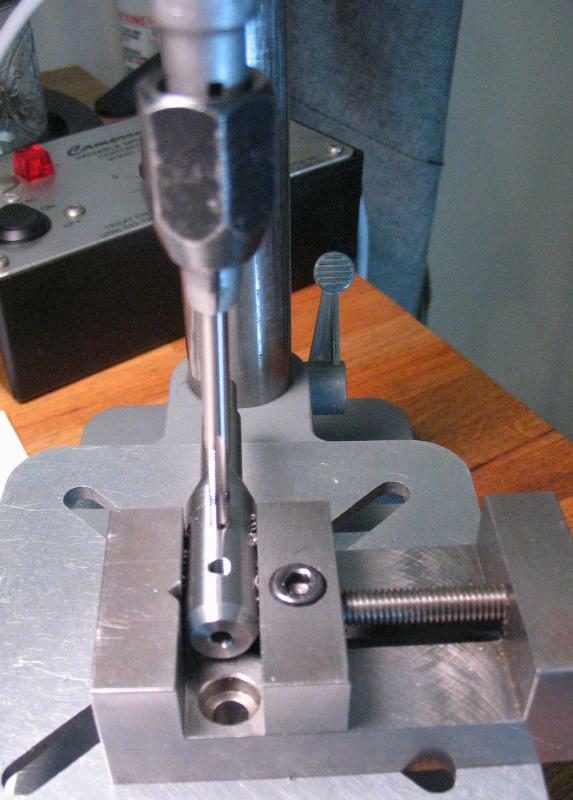 This ends up being fairly long and therefore not very rigid, but has useful on various occasions. The arbor was started from 3/4" mild steel rod (type 12L14). 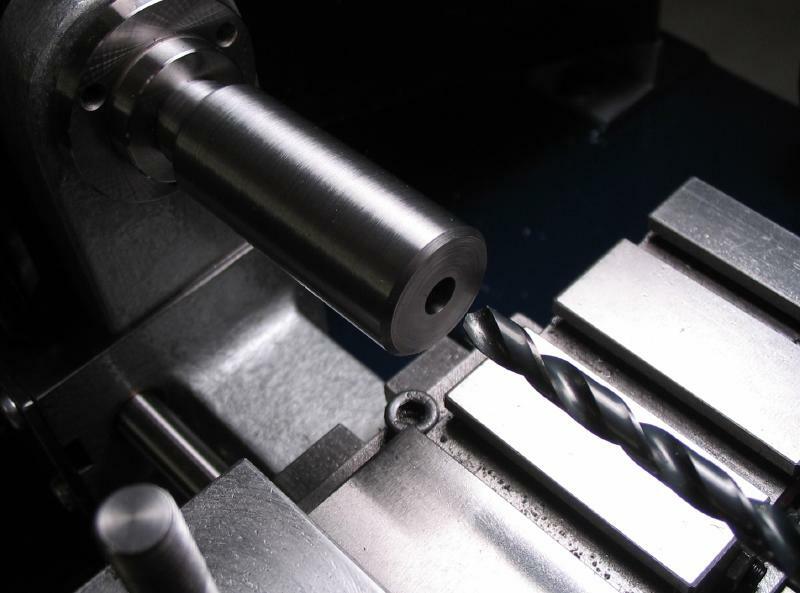 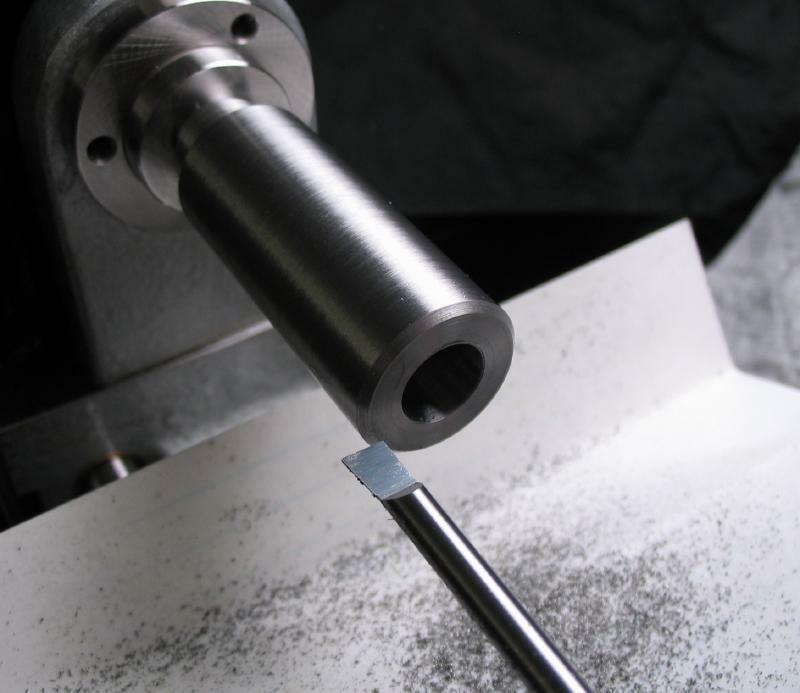 The steady rest is used to support the rod for facing each end and center drilling for tailstock center support. 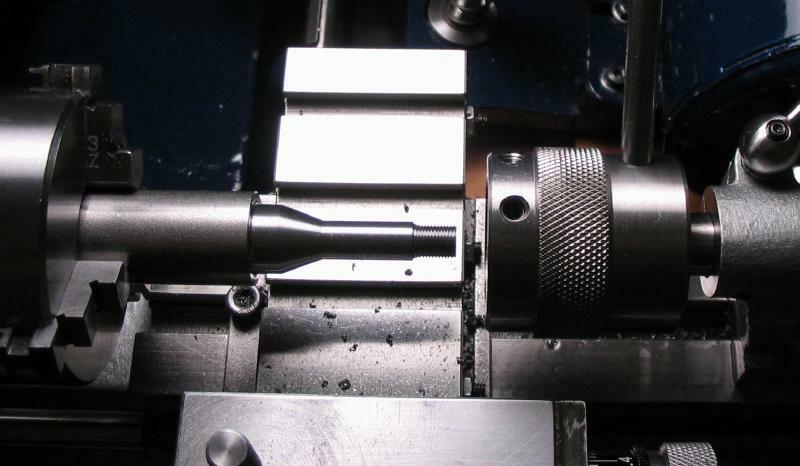 A 40mm length is turned to 14mm. 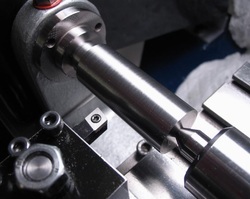 Next, a 27mm length is turned to 8.0mm. 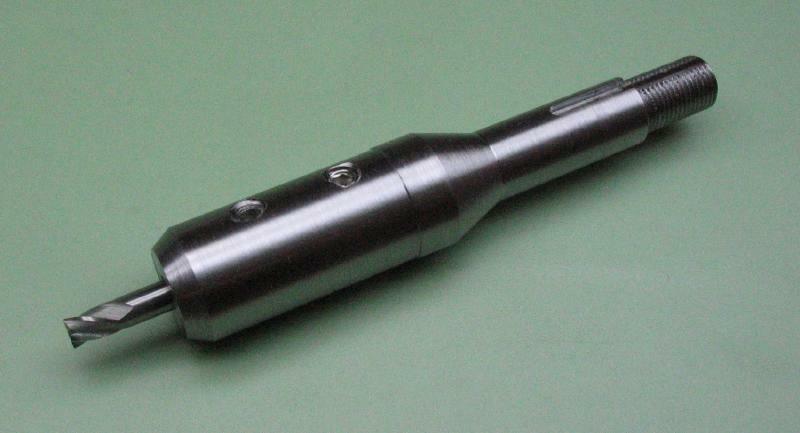 The end is turned down to be threaded B8 (6.82mmx0.625). 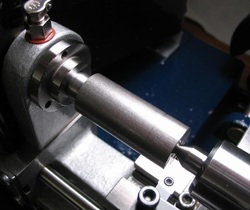 The 20 degree head taper is turned with the compound slide. 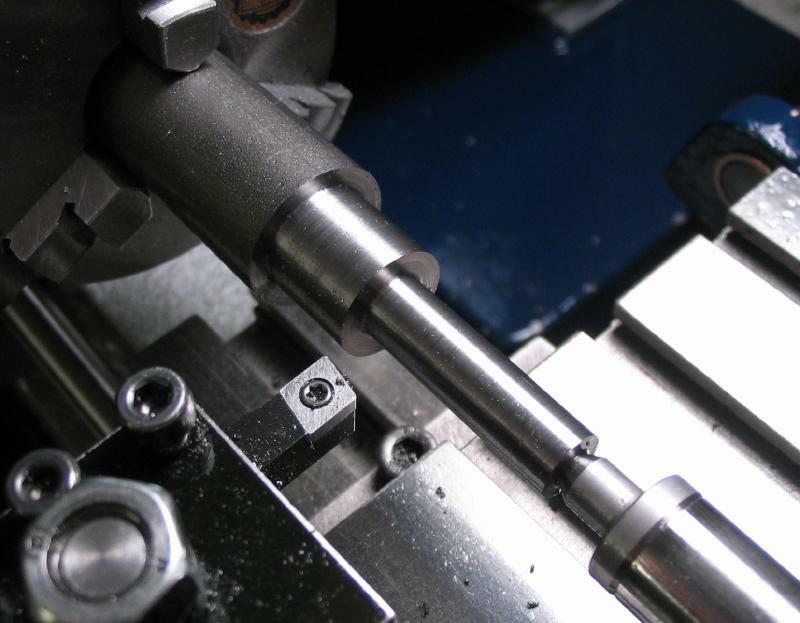 The B-8 die is held in the die holder and the arbor threaded. 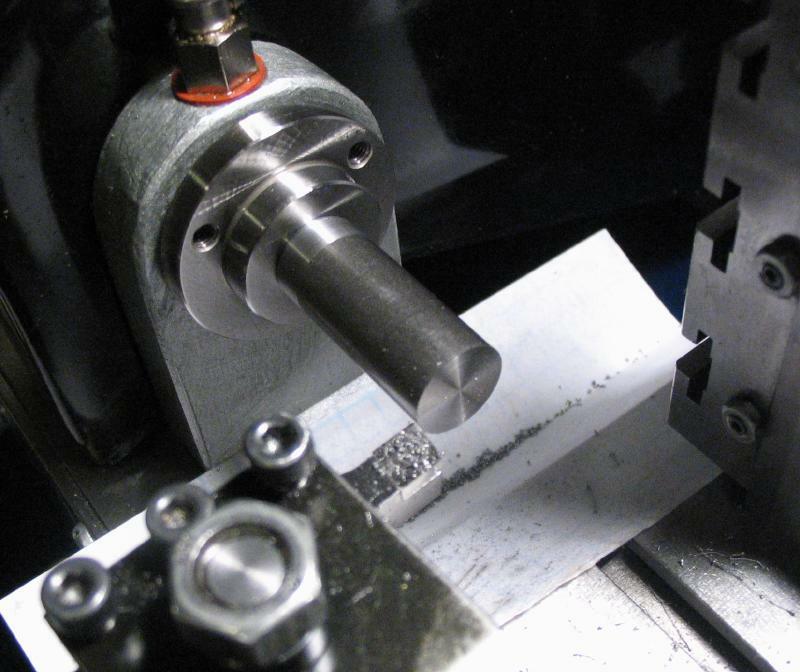 The work was too long to mill the keyway while mounted in the headstock. 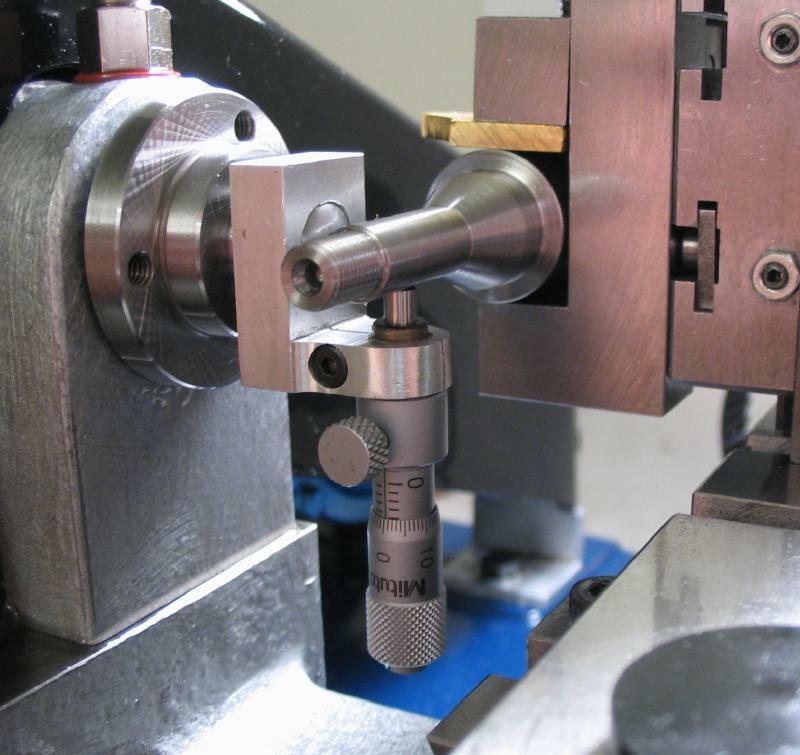 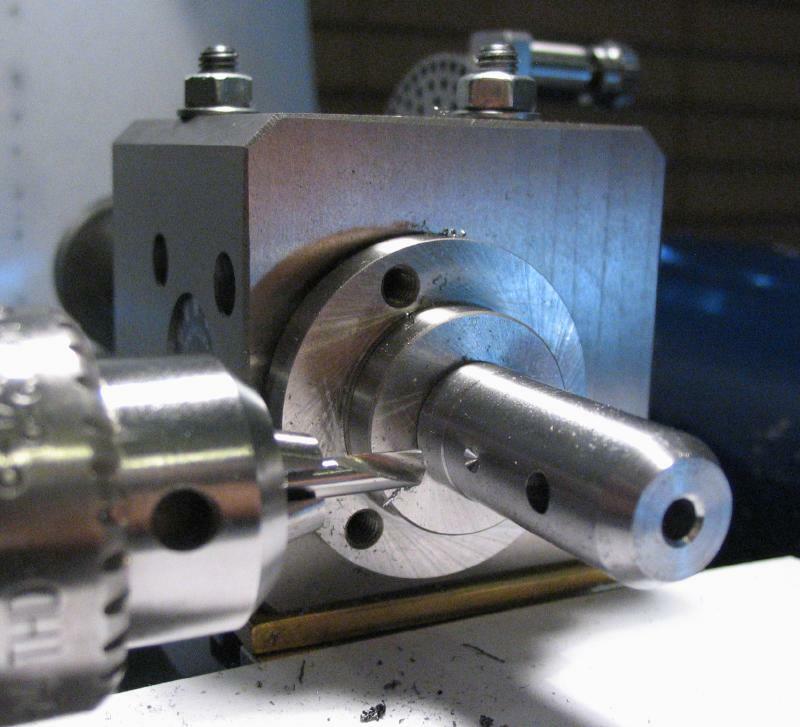 So it was setup in the milling vice and centered with the micrometer. 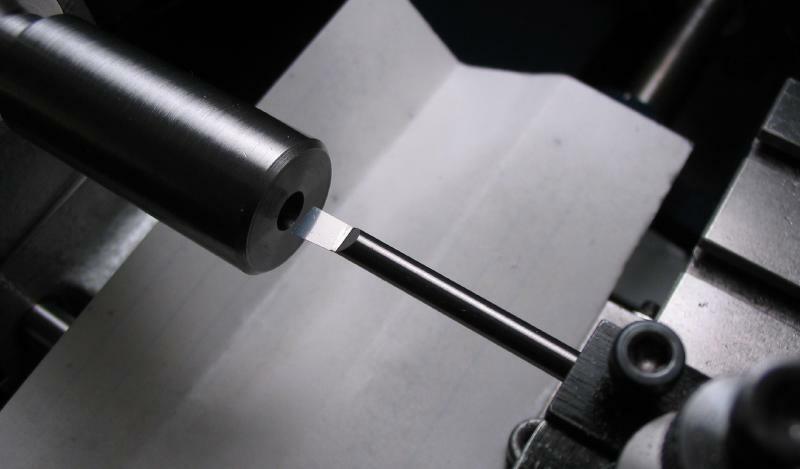 A 2mm endmill was used to form the keyway. 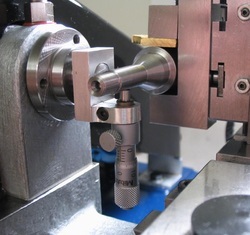 The arbor is mounted in the headstock and secured with the drawbar. 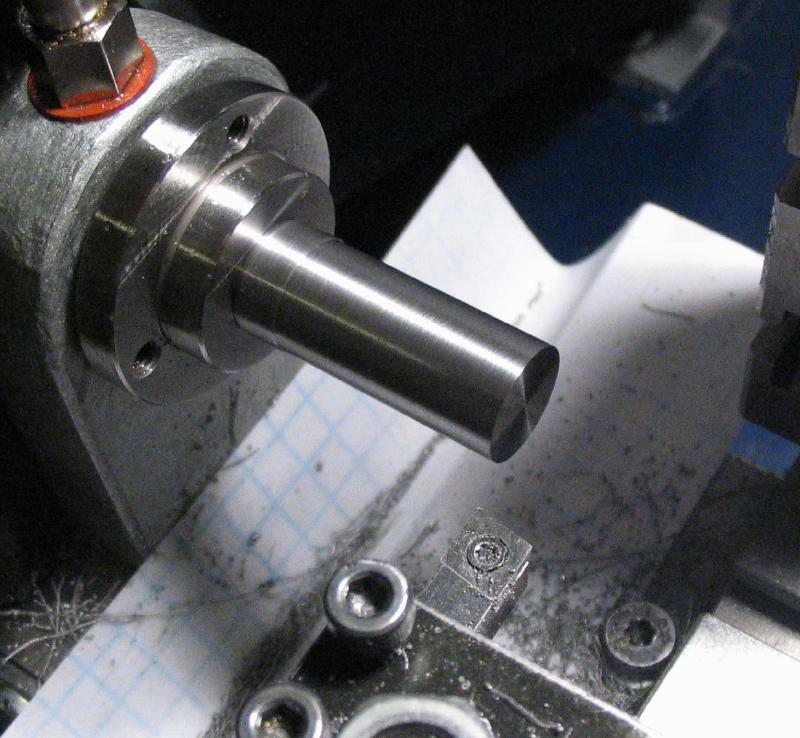 With tailstock support, the diameter is reduced to true it and provide a clean surface. 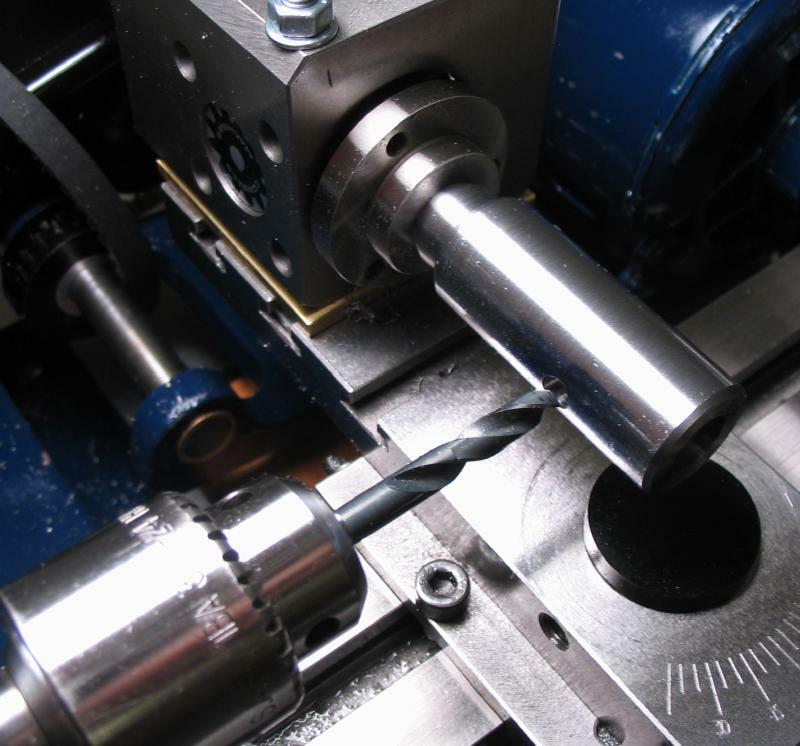 The arbor was drilled 5.3mm for a length of 40mm. 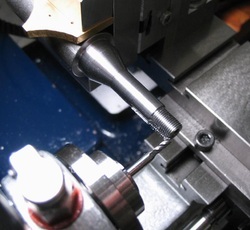 This hole is then bored open to 9.525mm (3/8"). 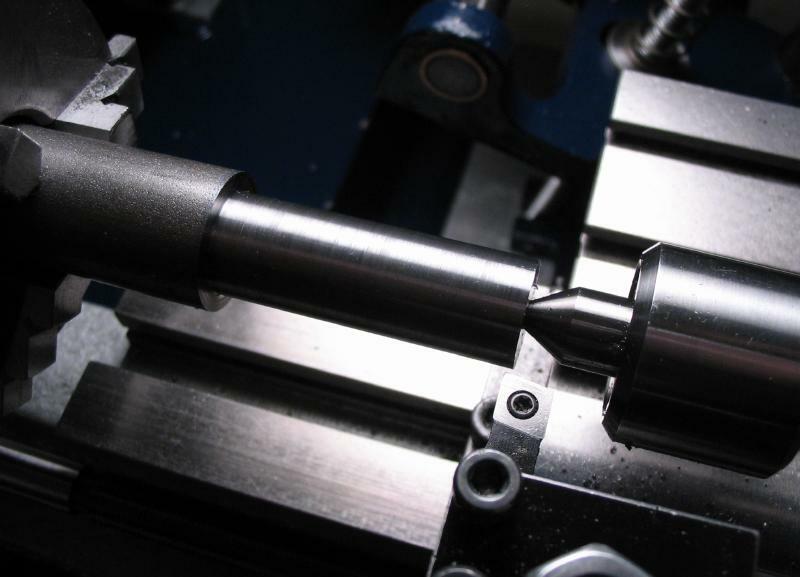 A boring bar of sufficent length is required, this is an Accupro 1801500 (0.180" minimum bore diameter & 1.500" maximum bore length). 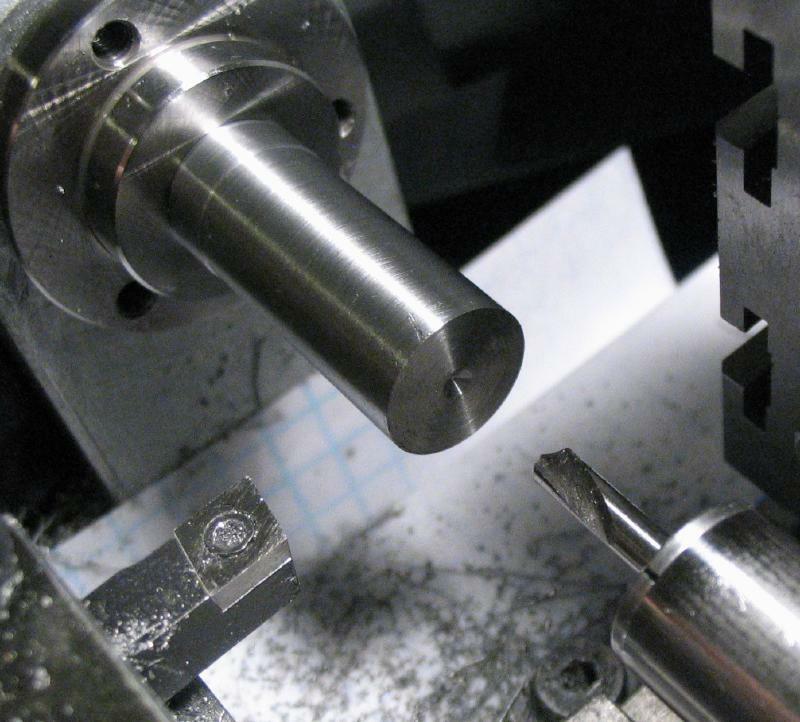 The boring is checked until a snug fit is achieved. 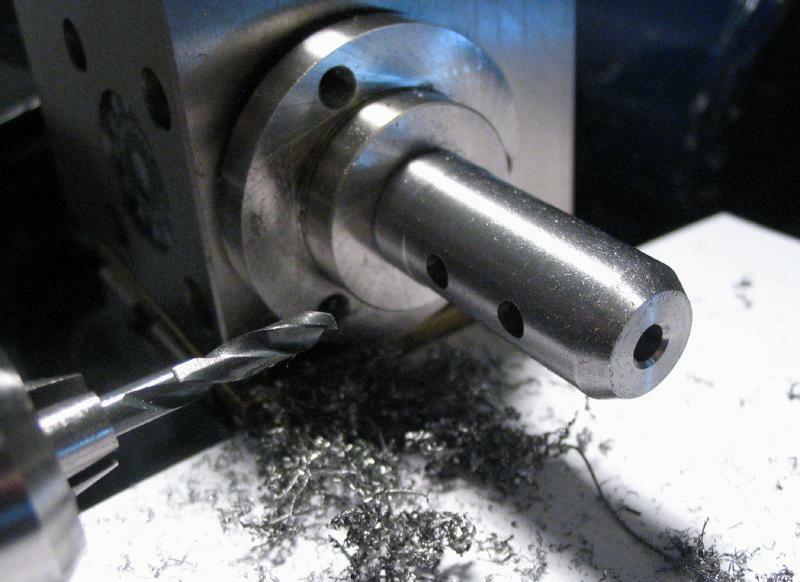 The work is transferred to the dividing head to cross drill (5mm) the securing screw hole. 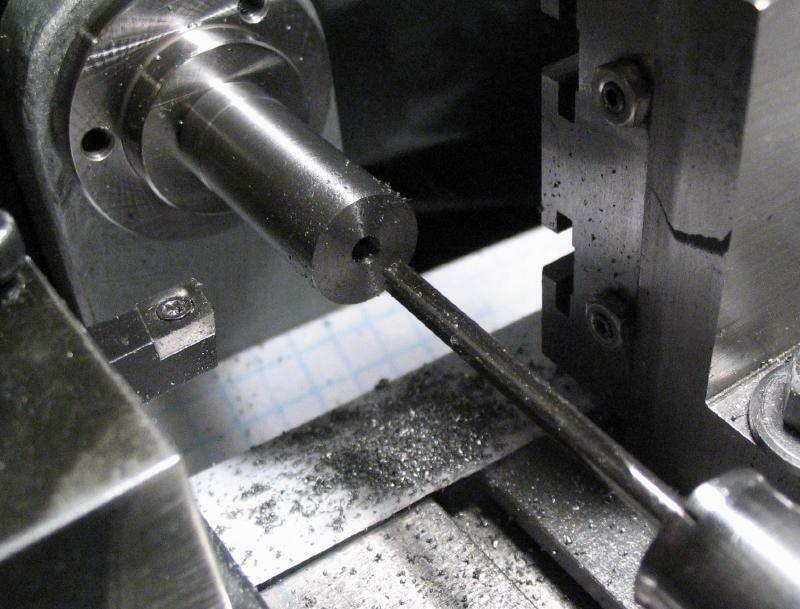 This was located 17.5 mm from the end. 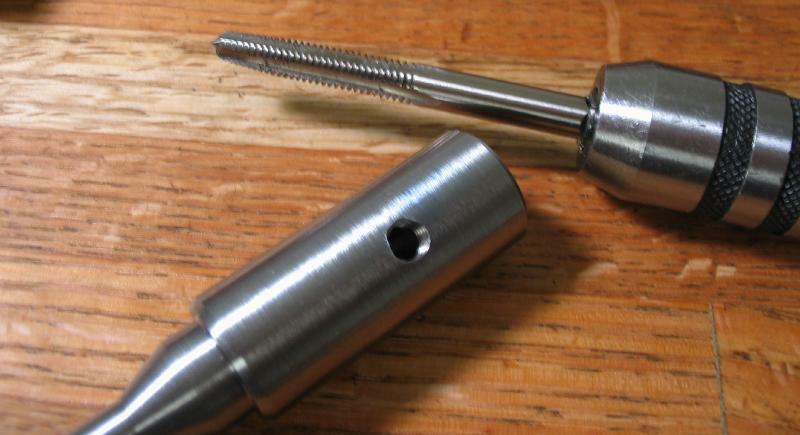 The hole is tapped M6x1.0, and a socket set screw is used (M6 x 6mm length). The arbor was intended for use with 3/8" shank mills. 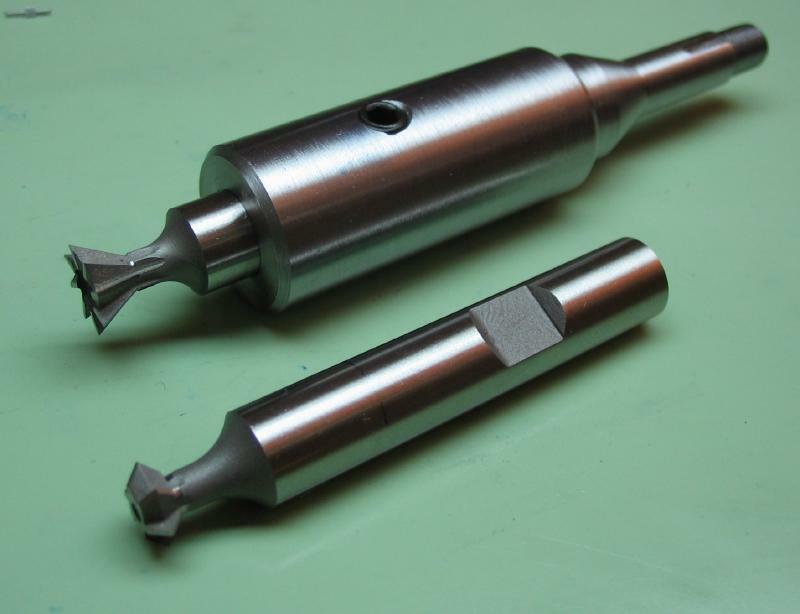 Shown are a couple of Whitney cutters, a 60 degree dovetail cutter and a 90 degree double angle cutter. A similar type of endmill holder was made for 1/8" shanks. 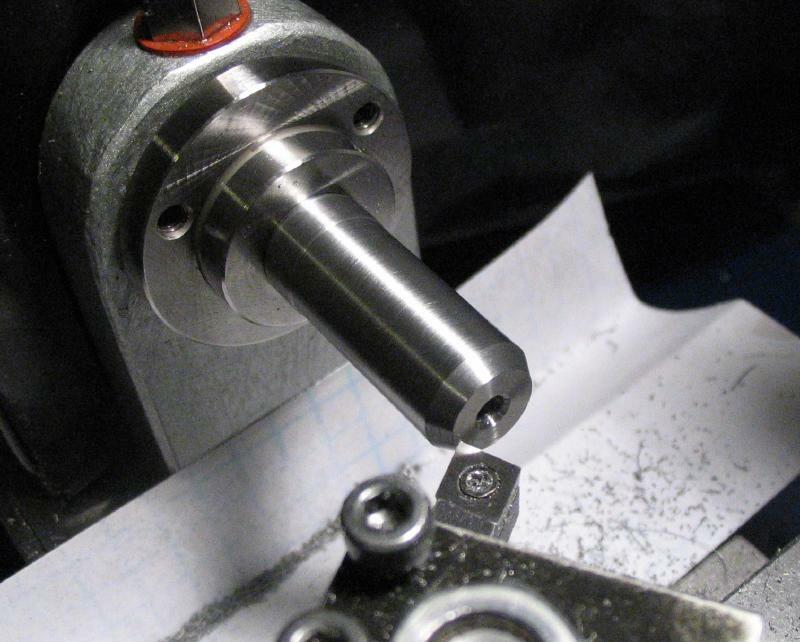 This size tooling does not typically have a locking flat, so I am simple adding a couple extra screws to secure the endmill in the holder. 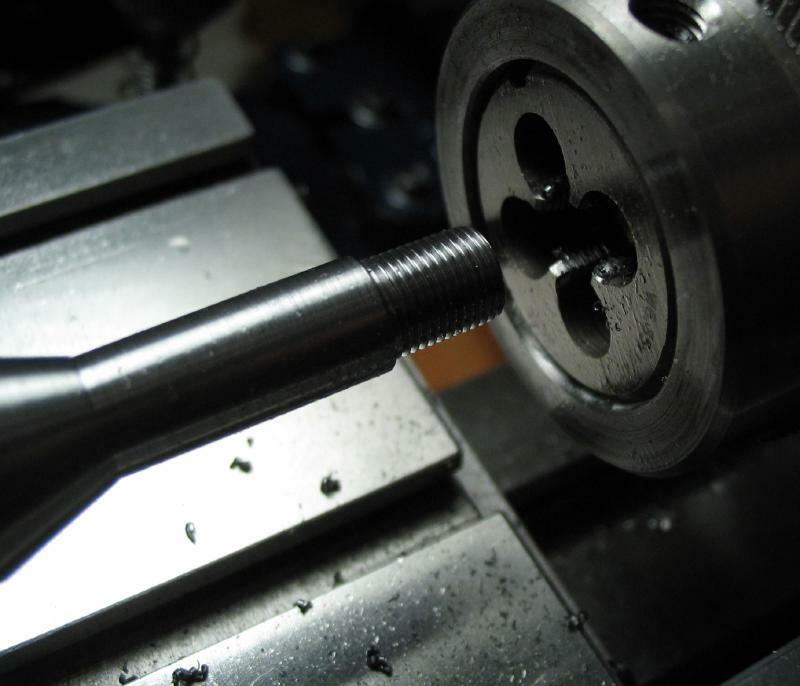 This did lead to some runout in the endmill and may be better to have 3 or 4 opposing screws to help center the endmill in the holder, so I may modify what is shown below. 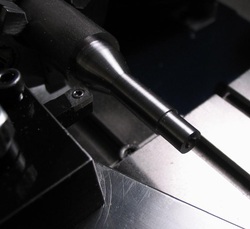 A collet type shank was machined on the end of a length of 1/2" cold roll steel rod (12L14). 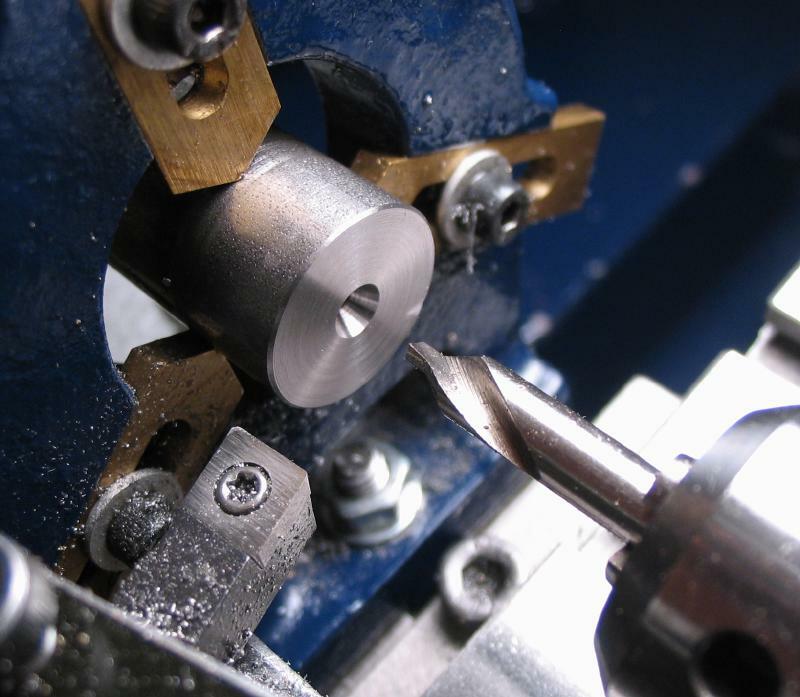 This was the longest part of the project, but is summarized in the one photo below. 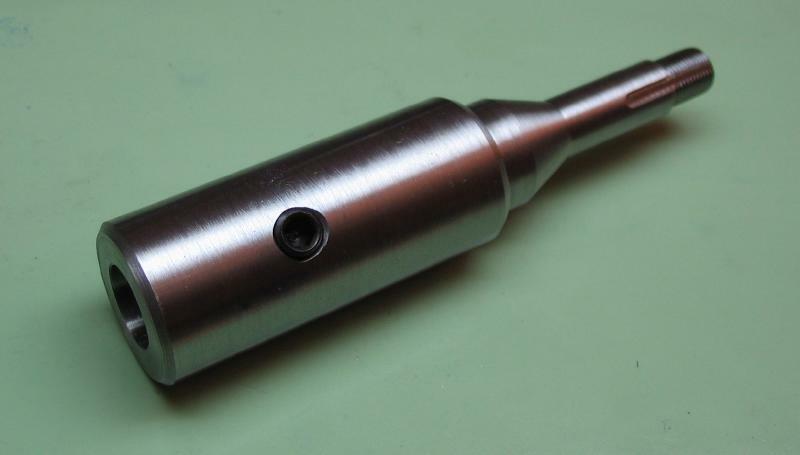 After mounting in the headstock with a drawbar, the reverse end was faced, turned true, drilled 2.5mm, reamed 1/8", countersunk, and chamfered 30 degrees. 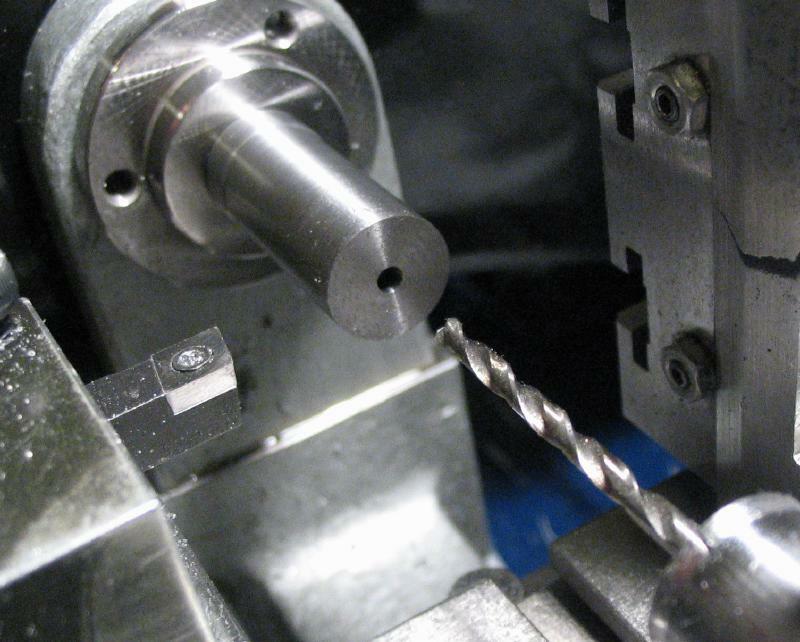 It was then moved to the dividing head to drill 3.3mm holes, which were then tapped M4 to fit some M4 x 4mm stainless steel screws I had on hand.